The vacuum cleaner is an essential part of the home whether you like it or not, but can a cheap vacuum cleaner do the job perfectly fine without the hefty price tag? To help you find a great deal on a new vacuum, we’ve reviewed some of the most appealing cheap models on the market, whether you’re looking for an upright, bagged, bagless, corded or cordless vacuum cleaner. The benefit of upright vacuum cleaners is that you won’t need to tug around a bulky canister as its design is a compact upright stick. The downfall, however, is that you won’t find very many upright vacuum cleaners under $200 as most brands tend to pack a number of features, increasing its price. The Kmart 1200W upright vacuum comes with a turbo brush for cleaning pet hair. It’s equipped with a 1.3L dust bin and an HEPA filter, which aims to help reduce dust particles. The wheels are designed for easy portability. It has a 3-in-1 tool for cleaning and a cord hook for storage. Other than that, you won’t find any extensive features for that price. There aren’t many bagged barrel vacuums around anymore as they are being replaced with bagless designs, saving you money long term without the need to purchase new vacuum bags every time. On the other hand, bagless vacuums may spill more easily compared to vacuum bags, leaving the bagged option a convenient alternative where you simply throw away the whole bag without the mess. Vacuum bags also tend to be larger in size compared to a dust bin, allowing you to vacuum for longer without emptying the vacuum as often. The Kmart bagged vacuum provides 2000W of suction power with 3.5L dust bin capacity and an HEPA air outlet filter. It features a bagged vacuum metal telescopic pole and accessories storage. Standard features include a ventilation grille, dust bag full indicator and airflow regulator. Additional vacuum bags cost $9.50 and come in a set of 5. With this additional cost in mind, you may like to consider upgrading to the bagless vacuums as it may save you money long term. There is a 1-year warranty on this model. With slightly less suction power than the Kmart model above, the GVA bagged vacuum is a 1400W electric motor vacuum with an HEPA filter, which aims to get rid of fine particles for cleaner air. 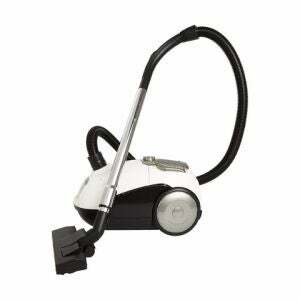 It features adjustable suction power and has 3L dust bag capacity. Volta, although not as well-known as other brands, provides a relatively conventional barrel vacuum. The model provides 1600W of suction power and is 3.9kg in weight. It comes with 4 vacuum bags but will require additional bags to be purchased separately. There is a 2-year warranty on this model. Bagless vacuum cleaners are equipped with modern technology and have a see-through design that can help spot items that were accidently vacuumed up, like your wedding ring. A con of this type of vacuum is that they require cleaning of the main filter, which may also need replacing overtime. Kmart once again comes up at one of the lowest price ranks for the category. This 2000W multi-cyclonic model brings a 2.5L dust capacity and a 5m power cord. It features a metal telescopic pole and a heavy duty floor head with a metal base. 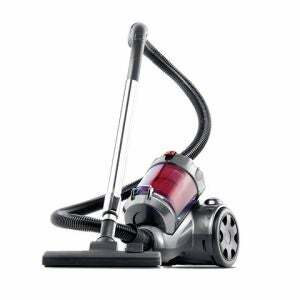 You can also find a similar model – the Kmart 2200W Bagless Vacuum – but at a slightly higher price of $75, which has an additional HEPA filter inbuilt and 3L dust bin capacity. It’s no surprise that Aldi has decided to bring out a line of vacuum cleaners to add to its diverse limited time only range. The Aldi barrel vacuum provides 2000W of suction power. It includes a crevice tool and upholstery brush as well as a dual use floor brush. 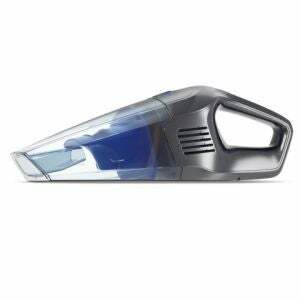 It’s equipped with a washable HEPA filter and is claimed to have speed control and an “easy-to-empty” dust canister. For the price, it provides all the standard features you’d expect, making the Aldi vacuum one to keep in mind. Big W also has several vacuums on offer including the Contempo vacuum with a flexible hose and detachable long reach tube. It also features a crevice tool for hard to access places and a handy brush that can be set for hard floor or carpet optimisation. With 1800W of power, a 2L dust capacity and a price tag of less than $50, it may be all you really need to vacuum around the home. Hoover claims this barrel vacuum is a lightweight and compact vacuum. It uses cyclonic bagless technology with HEPA filtration and one-touch canister empty system for easy maintenance. 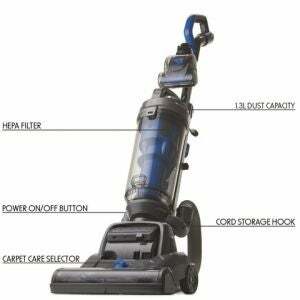 It’s an entry level bagless vacuum without any other additional features. 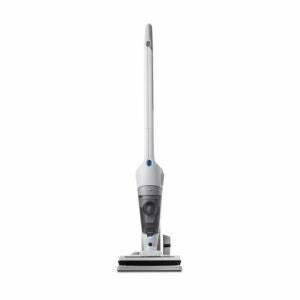 It’s equipped with a 0.5L capacity, 4m cord length and provides 900W of suction power. It can be used for carpet, hard floors, stairs and tiles with its 4 combination floor head. There is a 1-year warranty on this model. Similarly to other bagless vacuum cleaners, the AirFlo vacuum is equipped with an HEPA filter that aims to reduce allergenic material in the air. It uses rubber wheels to prevent damage to hard floors and an easy to dispose dust bin to reduce the chance of spills. 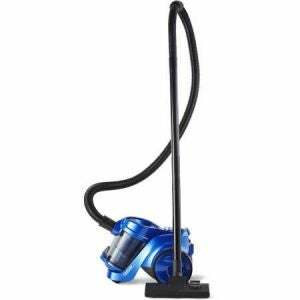 It has been designed with 2000W of suction performance and a 1.5L dust capacity. You will find a 1 year warranty with this vacuum. Corded handstick vacuums are most suited for medium size homes. Corded designs plug into the main power so you won’t have to worry about the battery life and can vacuum for however long you need. It may also provide more suction power, especially if you have carpet in your home. The Home Hero corded vacuum has dual functionality with a detachable hand vacuum for smaller cleaning tasks and a main stick vacuum for other areas of the home. It’s claimed to be lightweight and compact and features a carry strap for easy transportation. 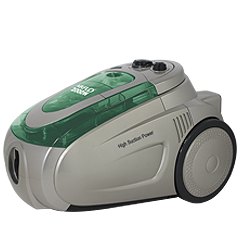 It’s equipped with a turbo floor brush and provides 1000W of suction power. It’s designed with 0.8L tank capacity and 5m cord length. It comes with a crevice tool, dusting brush and a hose extension. It’s also suitable for carpets and has a 1-year warranty. The Airflo vacuum is another lightweight and versatile corded model equipped with a crevice tool, dusting brush and a telescopic rod helps to clean behind furniture and high corners. It features an “easy to empty” dust bin and a washable micro filter. It provides less suction power than the previous model, coming at 400W. It’s suitable for any surface and has a 1-year warranty. Cordless handstick vacuums provide cable-free flexibility to vacuum wherever you need without plugging in the vacuum. You may not like to expect the same performance that an expensive brand may provide as the suction power will depend on the battery quality. Nevertheless, for quick spot cleans, it may be a useful vacuum to have around. Big W provides a cordless stick vacuum for under $30. The Contempo vacuum is a lightweight and bagless design, which can be converted to a compact handheld vacuum for spot cleaning around the home. It weighs less than 3kg and provides 600W of suction power. If you need to do a quick vacuum of curtains, cushions or bedding, this vacuum may be one to consider. Similarly to the previous models, the Kmart 2-in-1 stick vacuum aims to help reach tight spaces, It’s battery operated and is claimed to work up to 20 minutes when fully charged. It uses Acrylonitrile butadiene styrene and polypropylene for its outside construction, which gives it a shiny look. It also features an easy dust, brush, handle and dust cup release buttons with a power/charging indicator. It includes a battery charge, a charging stand and a 2-in-1 brush. The Home Hero 12V bagless vacuum features a detachable ‘Handvac’ for quick cleans similarly to the corded model mentioned above and a rotating brush. With its dual functionality, it’s said to give the convenience of an upright vacuum as well as a portable handvac. It’s aimed to be lightweight and portable for easy manoeuvrability and can be folded in half for easy storage. It is suitable for carpets, hard floors, stairs, and tiles and comes with a 1-year warranty. Handheld vacuums are most useful for areas that a traditional vacuum can’t reach. It’s a portable design useful to vacuum only small areas of the home. You can take it anywhere with you but keep in mind that cordless handheld vacuums will require regular recharging. The Kmart Hand vacuum is a fairly affordable vacuum. It’s said to work for both wet and dry waste, similarly to other handheld vacuums. It’s also claimed to provide up to 15 minutes of working time. You may find this vacuum useful for tight spaces as it is a compact design. The next one up in price is a Kambrook Wet & Dry handheld vacuum cleaner that provides 12V of power. It can be used for all locations including car, kitchen or garage. It’s wall mountable and uses Ni-MH rechargeable batteries. Similarly to the Kmart model, it’s suitable for wet and dry spills. This model provides several additional features including a squeegee tool for wet and dry spills, and a slim crevice tool to eliminate dirt and dust in hard to reach places. The window squeegee tool is claimed to provide streak-free window cleaning without dripping any water onto the floor. The hoover model can be found in Big W.
The Vax 18V Gator is a compact, cordless vacuum cleaner, ideal for cleaning small messes and tough to reach corners. It is claimed to have a 17min run time and requires 12hrs of charging time. It features a 0.3L dust bin with an easy access flip-open mount for disposal. It has a motorised powerhead to help remove pet hair from carpet and upholstery. The Vax handheld vacuum cleaner is equipped with a built-in crevice tool for corners and tight spaces. It is fairly lightweight for easy manoeuvrability, coming in at 1.8kg and has a 1 year warranty. Should I buy a cheap vacuum cleaner? Most cheap vacuum cleaners are entry level without any extra features or technology. 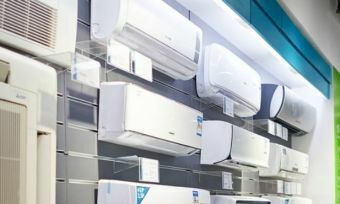 It’s probably fair to say that they won’t last you as long as more expensive models, especially the cordless stick vacuums and handheld appliances as these may have a shorter battery life and weak suction power. Another aspect to consider is the noise level, with many cheap vacuums not offering any noise reduction technology to provide a quite operation. It’s also important to note the material build of the vacuums especially if you tend to knock your vacuums over when pulling them. Nevertheless, if you are on a budget, one of these models may suffice for your home. Whether it be a simple handheld or a bagless barrel vacuum, you may still gain good use of these vacuums. For brand comparison, follow the link bellow to see how Aussies rated a number of vacuum cleaner brands.